I'm curled up at my chair and a bit dreamy pensive due to the unwanted clutches of some type of winter virus clawing at my immune system. Eve is a game that you play safely when you are not feeling well. For all the touting about its lack of twitch reflex responses it does require a constant level of awareness that my muddled mind cannot produce in high enough quantities at the moment. This leaves me seeking less risky occupations for my time. Lue was on and active and, to my delight mission grinding, which meant salvage for me. I hopped into my trusty Thrasher and chased him down to fill my cargo hold. It is a moment of full circle that amuses me. I started salvaging in a Catalyst and I have ended salvaging in a Thrasher. My Nocti are both docked and it is doubtful that I will undock either in the near future. Yet coming full circle back into a destroyer is not an ending. It is a sign of advancement and change. One reason the Noctis was so important when it came to salvage was the size of the salvage. With cargohold expanders the Noctis could hold over 4k m3 of salvage and this was very important when it came to clearing out a mission. 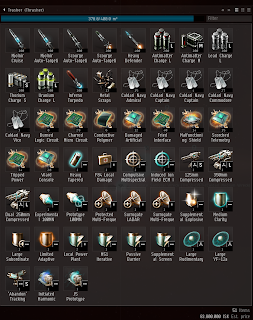 Forward to the launch of Inferno and CCP nerfed meta 0 salvage drops. Meta 0 items are items players can build and introduce into the games from blue prints. The mission market competed directly with the player industrial market when it came to module production and CCP corrected that by removing the competition. Salvaging also became misery for months after the UI changes. Thankfully, the changes have caught up in functionality to return the smoothness of looting cans and wrecks to about where it was before. The changes to the drops did affect income and sadly, decreased salvaging's potential incomes and starter incentives. The Noctis, which has bonuses to salvage modules is the king creature of salvaging. While tremendously ugly, it can lock 10 targets and carry an arry of tractor beams and salvagers. With the inferno expansion CCP also added the ability for it to carry salvage drones. It is the god of salvaging. "The Noctis can fit up to five Salvage Drones, further enhancing its salvaging capabilities. ORE Industrial Skill Bonus: 5% bonus to Tractor Beam and Salvager cycle time and 60% bonus to Tractor Beam range and velocity per level." It is just an amazing salvage boat. It can draw it in from further away, faster, with faster salvage timers. It's incredible. It is also not always the choice. 1: The Noctis is expensive. It is currently running somewhere over 80mil ISK for one. When I purchased mine, last year they were 40mil ISK. I've built them. That's almost all in mineral cost. These things are a mineral vortex to build. 2: Tractor beams are not cheap. I have never had one drop as loot as salvagers do. 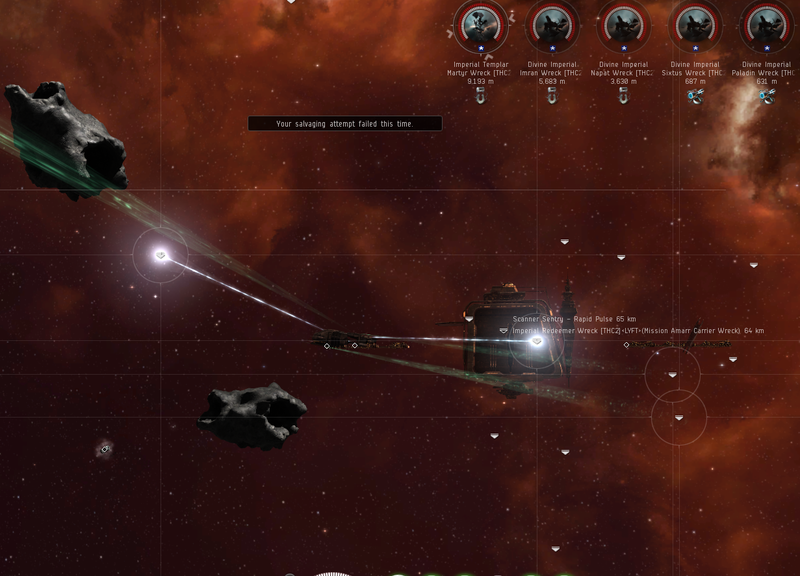 T1 tractor beams are sitting around 1.7mil in Jita per module. This is expensive to a new player and adds a significant investment into any salvaging boat that they get. 3: The Noctis is made of paper. This matters a bit more than it used to because warping the Noctis into a mission to salvage as the rest of the fleet cleans up is no longer as viable as it once was. For me, I've sat in hundreds of level 5 missions scooping loot with the occasional worry about a spawn smacking me around and needing to warp out. Now, with the aggression changes I wait for the mission to finish. With living in low sec my personal agility is very, very important. I had one serious scare in my Noctis and that was enough to make me look for options. These days I am back to recommending destroyers. My thrasher can handle most level 5 missions and DED complexes with one, unexpanded cargo hold for all of the loot. The thrasher is cheap, costing around a million ISK give or take location and markets. It is also fast and agile. The Noctis is a fat, bloated cow. Toss in salvage tackle rigs and its almost miserable to fly. If there is any need for agility (getting out for a respawn, low sec) it is seriously lacking. It is a game of cost vs bonus. I think, for the average new player, the advantages of the destroyer will pay for itself and several Nocti before the need for the Noctis presents itself. I speak of need which is not as powerful as want. While ISK per hour is a hot button topic and the Noctis is fast, I'd point to all the other equations being added into the sum total to decide of the zip of a MWD fit destroyer across the space between the NPCs is such a great slow down. It also lowers the barrier of entrance. It has become such a habit to recommend a Noctis that the capable, salvage fit destroyer has fallen by the wayside. And then there is that quest for optimization and min/max that so coats many people's conversations that create their own barrier of entrance. 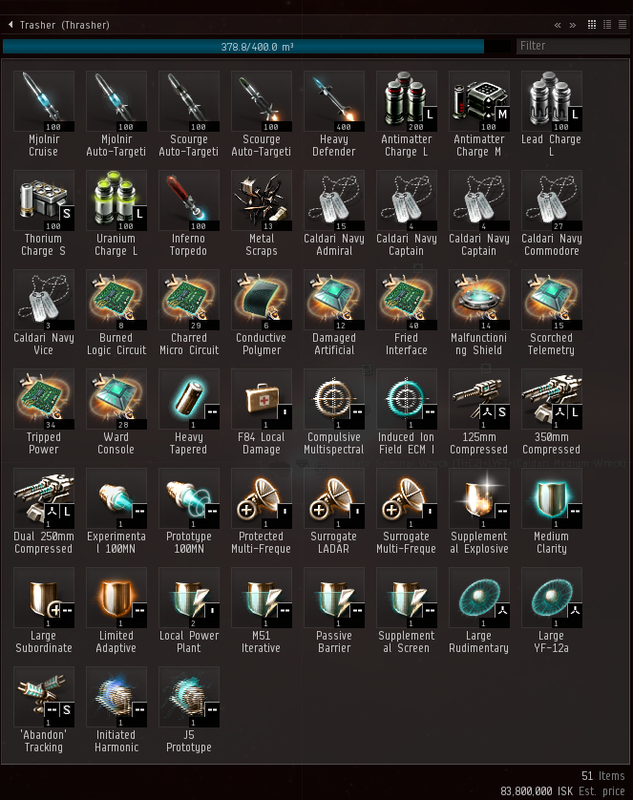 Back when I was trying to make a living in high sec and not sure about what to do, I tried some public salvaging. I was told by one person that only with a fully fit Noctis with T2 tractors, T2 salvagers and all skills maxed would they allow me to follow along. Another group tried to kill me due to the older theft mechanics which didn't not always see fleet members as having permission to loot wrecks. For those aspiring to salvage, looking for extra income at lower levels, or wishing to recommend possibilities to new players the salvage destroyer is cute little tool that can be very interesting. Learning to scan down wrecks or just running to new areas to make money holds interest. Not everyone is swept up in the most/more/now style of game play. Consider that salvaging is an activity that develops a series of distance and analytical decision making skills. It's not a passive activity. It also is an important part of our economic cycle with the salvage dumped into the market place to create the rigs that we so need. It also makes you fantastic at looting PvP wrecks later in life. Also, send an open minded mission runner and an aspiring salvager to the channel "Free Wrecks". It's a place where people who don't mind giving away their salvage can give it away. Their MOTD is full of useful information for a new player and the most interesting friendships are formed through social connections such as these. It is an easy way to help a new player find some personal independence that is not just mission running or mining. Salvage has really gone up in price and so have rigs, so noobs really can make a quick buck salavaging after a mission runner.